An absolute stunning piece of jewellery that would suit anyone wearing almost anything! 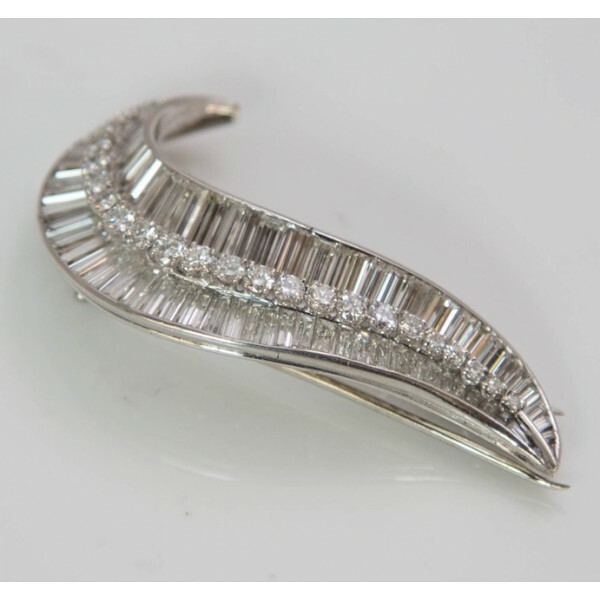 This beautiful 1920's style brooch has a very unique 'flow' to it with a smooth edge and clean cut. Featuring round brilliant cut diamonds set in the centre with baguette diamonds set on either side. All set in 18ct white gold. Hopefully will find a loving owner soon.